Time rolls in so fast, it’s hard to believe that we’re in November already. That means we’re gearing up for Book Yer Ane Fest IX and have some work to do. 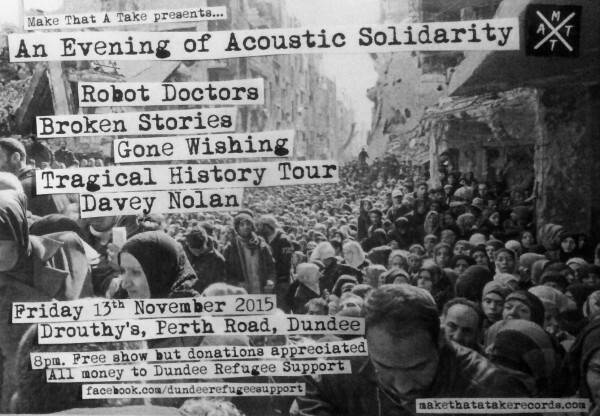 Thanks to everyone who came out to the shows in October, both the We Shall Overcome show to support Dundee Foodbank and the Halloween cover-up show were tremendously good fun. 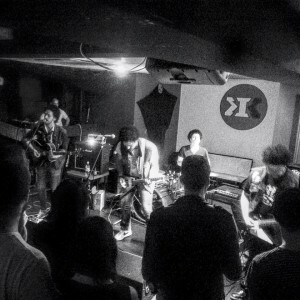 Seeing The Shithawks absolutely rip Thin Lizzy will linger long in the memory. All the bands were excellent and put in a great effort in learning new sets, so cheers to Salem Street, 15 Minutes, The Exhausts, Maxwell’s Dead and Shithawks for doing so. We’ll see about doing another one next year. Cheers to everyone who has downloaded Dae Yer Ane Sampler II since release last month too. 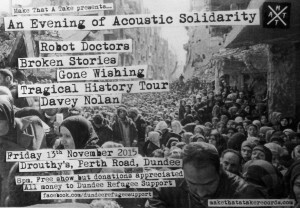 Our next show is an all local acoustic affair in solidarity with Dundee Refugee Support in the basement of Drouthy’s on the Perth Road, Dundee on Friday 13th November and will feature sets (order to be drawn on the night) from Robot Doctors, Broken Stories, Gone Wishing, Tragical History Tour and Davey Nolan. The show is free entry but we’ll be taking donations for Dundee Refugee Support. Please check out their page and support their work in any way you can. After that, it’s BYAF time! So many incredible bands crammed into a long weekend, it’s shaping up to be our most hectic BYAF yet. 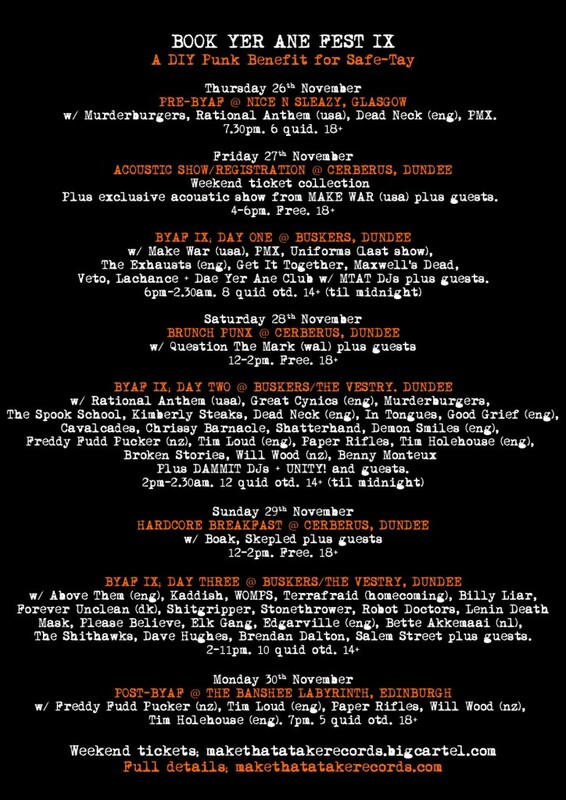 Physical weekend tickets are available in person from Grouchos, Weekened E-Tickets are still available and individual days will be pay on the door only. We’ll (hopefully!) have a full timetable of events in the next couple of weeks. Keep an eye on the event page for updates!